I was just going through some photos and realized what a nice time I had teaching the Plein-air Essentials workshop this past June. 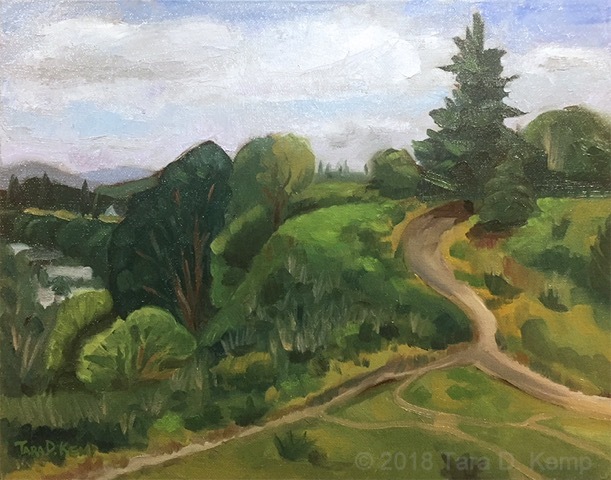 It was a fun group and over the weekend we painted at Powell Butte and Mock’s Crest Viewpoint. The Butte has nice open vistas and Mock's Crest has a bowl-like depression that offers interesting topography and views of downtown and the Willamette. Everybody worked hard and had fun. We finished the weekend off in a really nice way with artist and musician Tara Kemp playing some original tunes for us. Bravo!